Are Their Past Clients Happy? The homebuilder you pick should have a lot of experience. That means you can find out specifically which homes they built in your community. Yes, they might provide you with a list of customers but to get the real story you want to talk to people that aren’t on that list. This doesn’t mean they will be 100% disgruntled but it will help to know exactly what you’re getting into from an honest perspective. It might be that everyone has glowing recommendations. However, if a large percent of those clients talk about shoddy workmanship or lack of communication, then this is a homebuilder you definitely want to avoid. It is very easy to check a homebuilder’s license. That can be done through a city’s website. 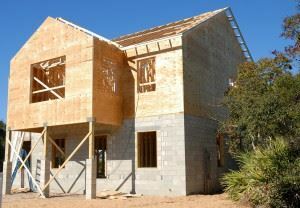 You want to make sure that the homebuilder you’re hiring is in compliance with state and municipal regulations. A homebuilder let their license lapsed should be a warning sign. Even if they explain it as “late check” that tells you they’re not being very responsible. A lot of what will be going into your home will come with a manufacturer’s warranty. The stipulation is that as long as that item was installed according to manufacturer specifications then it will be under warranty. That works with things like furnaces, water heaters, appliances and even roofs to a certain degree. But what about the general workmanship on the home? Is your homebuilder going to provide a warranty for that? You may want to look into a long-term third-party warranty. This is kind of like an insurance policy for your home to make sure you are protected in case there is a problem and the homebuilder isn’t around to fix it. Before work begins on your home you want to make sure that lot you purchased is ready for building. Junk King BucksMont is the perfect partner for this job. Although they excel in hauling things like furniture and appliances, Junk King has a lot of experience clearing out making lots of all kinds of unwanted rubbish. If you want to get your vacant lot ready for building, then set up a clearing session with Junk King BucksMont. This entry was posted in BucksMont Junk removal, Philadelphia Junk Removal and tagged homebuilder, junk King BucksMont, junk removal, rubbish, vacant lot on July 31, 2017 by Junk King. Last updated July 31, 2017 .